Nuwara Sri Lanka, also called Little England, is that obligatory stop you have to make, even if it’s quick, one thing is for sure: you’ll be drawn to staying more days. Destinations, places, fresh air, and colonial buildings contrast and reveal a European city in the heart of Sri Lanka. What you will read next will fill your eyes, and surely your adventurous spirit will dominate you. Choose to stroll the main lake or venture into the grand cascades. Visit the factory and taste the delicious teas of the house. If you still it’s not enough, visit the museums, the Sita temple, the botanical garden, appreciate the charm and the perfect marriage between the European style and the Sinhalese way of living. Come for another adventure in Nuwara Eliya. This city awaits you with the most incredible activities, experiences, and sensations. How to move around Nuwara Eliya? Nuwara Eliya is a mountainous city located on the highest points of Sri Lanka. It has 1 868 m of altitude. It is considered as the primary location to support the country’s most massive tea production. Although it was and still is the preferred escape center for the English, Nuwara Eliya has about 27,000 Sinhalese inhabitants. In each of the attractions, you will notice this in the smallest details and especially in the old buildings. Also, it is also known as the city of light or town in the plain, for harboring several high points and staying between the unpredictable trip from Kandy to Ella. Nuwara Eliya is cold, and its activities revolve around nature, the plantations and all it has to taste and warm the palate: exotic tea. 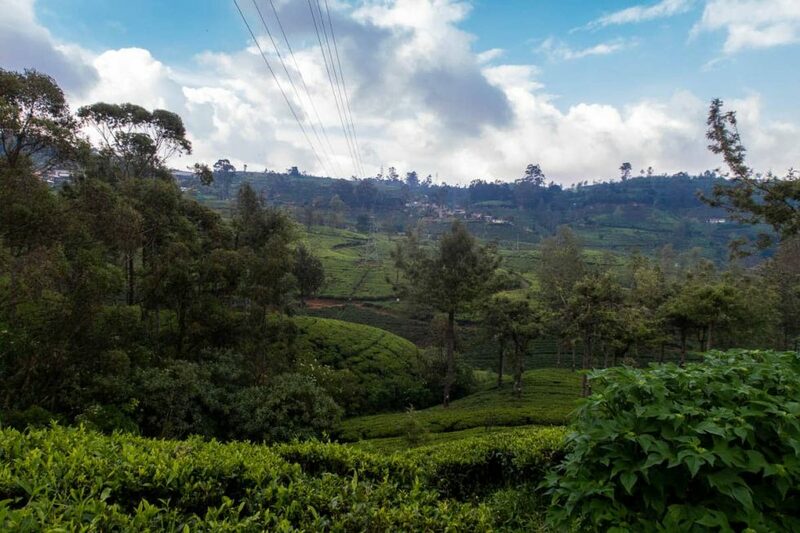 The attractions of Nuwara Eliya are ideal for those in love with nature, such as walking among the flowers of the tea plantations, but that is not all. There are other places to visit in Nuwara Eliya such as the local museum, temples, the incredible waterfalls, relaxing in the lagoon among others. Pedro Tea Factory is the most well-known tea factory being one of the largest in Nuwara Eliya. It is located 4 km from the city center. To visit the place, just pay 250 rupees and in the company of a guide, know the manufacturing process and, in the end, taste a delicious tea. But be careful: shooting or filming is expressly prohibited inside the factory. However, hiring a guide to accompany you, there are those things there. Even without seeing the machines working, you will notice a noisy environment, and it will be difficult to understand the explanations of the guide. It is worthwhile primarily for the tea and the visit to the fields where you will walk among the flowers. 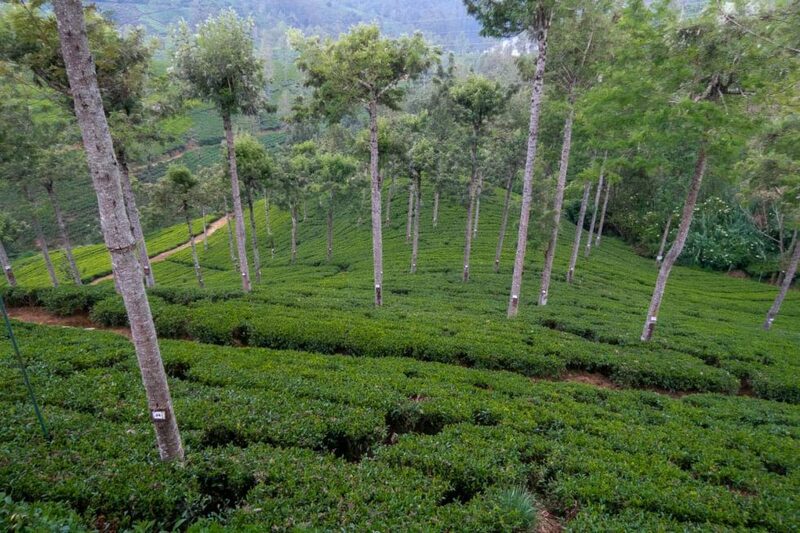 If you went to the factories in Kandy, then you already know what to expect in Nuwara Eliya, the difference is that the fields are even more extensive. Existem outras fábricas de chás menos conhecidas em Nuwara Eliya, sem qualquer custo, compensa ir para provar os chás. Agora, uma coisa é certa, em todas elas vais provar um chá delicioso. Mlesna Tea Castle Sr Claire is the largest tea shop in the world. The place is near the A7 road on the same path that goes to Nuwara Eliya. The building is a real castle, a relic between the mountains. When you look, you will see an infinite vision in which the flowers of the fields fit perfectly into each other. Feel free to savor, feel all the sensations and know the local specialty: the aromatic teas. The ascent to the top of the Pidurutalagala mountain (2524 meters) Pidurutalagala is also known as “Mount Peter” is the highest peak in Sri Lanka. To have incredible experiences and get lost in them for some time, it is only to go by car, van or jeep. Once you pass the checkpoint, they will ask for your documents (passport) to release your entry. After that, another 6 km until reaching the peak and soon you will see several radars and telecommunications antennas. The guards up there will be able to accompany you and explain how it works, but it’s not interesting. The best thing is to be dazzled by the scenery of the place, after all, it is the highest mountain in Sri Lanka. 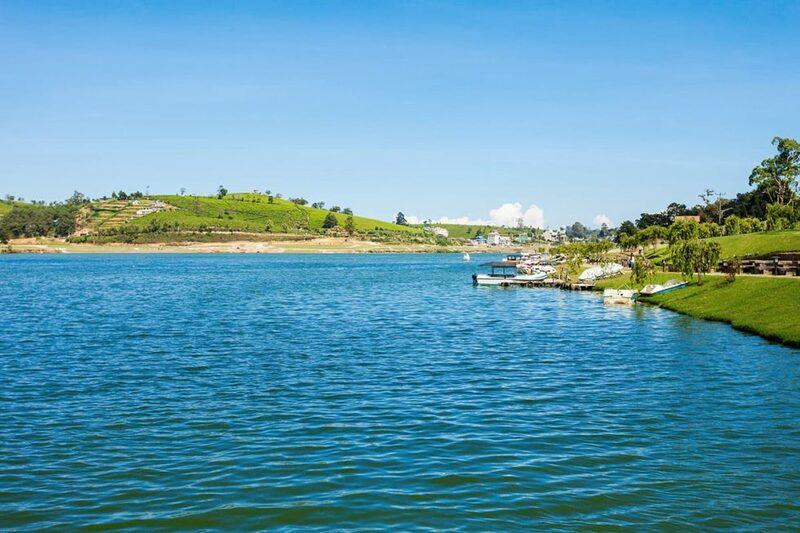 The boat trip on Gregory Lake is one of the activities you should choose to do in Nuwara Eliya. The lake is located in the center and visible from anywhere in the city. The good thing about the trip is that you can do it by boat or if it is something more romantic, rent a swan and stroll around: choose to admire the vegetation, ride a jet ski and still stroll and feel the cold air that comes from the mountains enveloping your face. The Aberdeen Waterfall is a cascade of 98m of simply enchanting height. It is close to Ginigathena in the town of Nuwara Eliya and is named after the largest city in Scotland. The waters of this waterfall flow down the steep rocks into a reserve with crystalline waters slightly blue. Lover’s Leap Waterfall is a stunning waterfall in which the hot waters fall on the rocks giving the feeling of total freedom. To reach this waterfall, head to the tea factory and you will arrive at a dirt road. Follow the signs, and you will arrive at Shiva Shrine. Continue the course that you will see the waterfalls. According to local legend, he says that a certain prince of the city and a girl fell in love, but were prevented from living that love. Then they decided to throw themselves on the cliff of this stunning waterfall. Whether it is true or not, the fact is that it is worth visiting this place in Nuwara Eliya. Within a few minutes, you will have another breathtaking waterfall: Devon Falls. 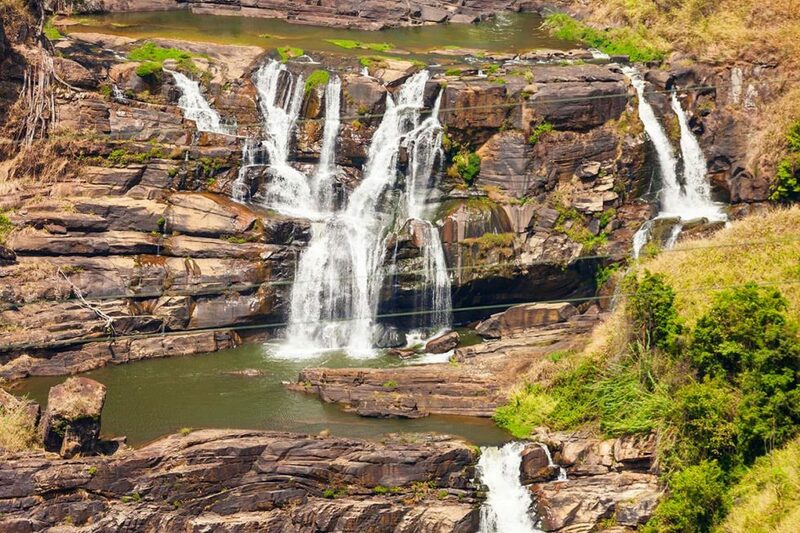 The 97-meter-high waterfall is located 6 km west of Talawakele on the A7 road of Nuwara Eliya. This waterfall is a little further away than the others, but the contrast with the tea plantations makes it unique and incredible! Bomburu Ella Waterfall is the largest waterfall in the country. If you were impressed with Hortons Plains and the park’s magnificent waterfalls, you will be even more amazed by the surprises of Bomburu Ella’s fall. Other than that, this main waterfall is made up of the smaller ones and hearing the waters falling on the rocks is really an experience of losing the voice you need to live in Nuwara Eliya. The ST. Clair’s Fall is a cascade that resembles a creek similar to the American / Canadian Niagara Falls in the central hills. Called Little Niagara, it is located near the Mlesna Tea Castle Tea Shop and has a spectacular view. This vision is the result of the composition of two smaller waterfalls: Mala Ella – The Greater Fall and Kuda – The Lesser Fall. They drain and form this perfect and relaxing setting. One tip is to enjoy the place and admire the landscape by eating something you can take or buy at the local restaurant. Drinking tea at the Grand Hotel is an experience you need to live. The place is the meeting point to savor the specialty of the house. Exactly between 3:00 pm and 6:00 p.m., you will enjoy some snacks and delicious tea for only 550 rupees. If you’re lucky, you can find a professional to guide you through the hotel. You will notice that the place still possesses a British colonial architecture without much change, even more evident when it walks and hears the sound of the floor and other noises. Getting to know the colonial houses and strolling the streets are activities that you will feel like you are really in Europe, but no, it is still in Sri Lanka. Even after the colonial era, it also proves why Nuwara Eliya is the main escape from the British. The buildings are nothing modern, every detail is millimeterly English, but even so, they are no longer charming. In the background the mountain of Pidurutalagala, in front, those huge colonial houses and to decorate, the simple gardens that together give the special touch to the streets of Nuwara Eliya. 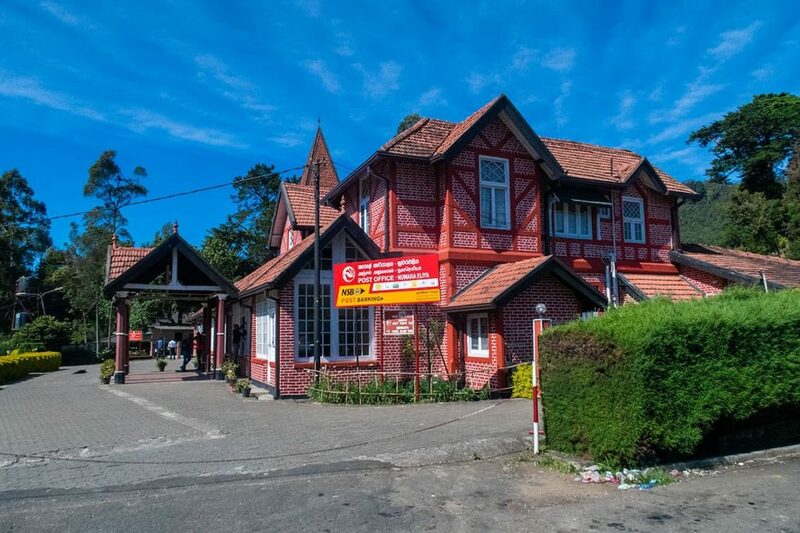 The post office at Nuwara Eliya is a charming place that is worth visiting while you are in the city. It is one of the first post offices in the country and is close to the bus station. He passes to send a letter, enters the place and contemplates the beauty of the building. If you are a golf fan, you can not miss one of the few golf courses in Sri Lanka. It is situated in the heart of Nuwara Eliya, on the way to the Grand Hotel. Also, the price is totally different from what you are accustomed to seeing elsewhere. In Nuwara Eliya, you pay about 8400 rupees including equipment and permission to play in one of the oldest fields in Asia. You will see a field with 14 holes, trees around and near the small cultivation field. Go outside or talk to the security guards to let him in. It is important to know that access to the golf course is restricted and only allowed to members or who can afford it. In fact, compared to other golf courses, neither is it ever expensive. Victoria Park is a retreat in the center of Nuwara Eliya. It is a place to stroll, feel the cold breeze of the city while cycling pedals and relax to the sound of the birds of the park. Also, the park also houses the Victoria Park Museum in which tells the story of how was life in the city on British rule. It shows the details of the old railway. The tour is around 300 rupees, being one more option for you to visit in Nuwara Eliya. The Amman Temple is a Sita time of the Hindu religion one of the few religious places you will see in Nuwara Eliya. The temple is located at the exit of Nuwara Eliya towards Ella. And by the way, further down we’ll explain everything to make this script and save on your trip to Sri Lanka. Returning to the temple, the place is surrounded by statues of the local gods. According to religion, the site is dedicated to Hanuman, the monkey-god who rescued Sita from Lanka. The Hakgala Botanical Gardens is the botanical garden preserved and filled with species of exotic animals. It is located only 1 km from Seetha Amman time being another attraction to meet in your passage through Nuwara Eliya. In this garden, you can appreciate the design, colors, and joy of 10,000 species of rare and fragrant flowers. It is a passionate place that is worth knowing. The Moon Plains or lunar plains is that place with a vast area of fields, plantations, trails and winding mountains for you to stroll and take beautiful photos. The winter market is to meet the needs of the place. You can tell that Nuwara Eliya is a cold place, is not it? And for that, nothing better than to spend in the Winter Market to buy warm clothes before going to the mountains. With cold weather during the year, the perfect setting for strawberries to survive and savor them in every way. You need to visit the farm Adma Agro and see a menu with the strawberry base. The place is known for serving strawberries in the fields, in drinks, and with that irresistible condensed milk! Rent a Bike: As some places are flat and close together, getting a bike can be a saving in so much on your trip. On the other hand, riding a bicycle can be tiring. Overall, for comfort rent a car with the driver and for the economy rent a tuk-tuk to take you everywhere in Nuwara Eliya. In all cases, check out the article on transportation in Sri Lanka that we have prepared and suggested the main negotiation strategies to save on your trip around the country. As said, Nuwara Eliya lies between two cities: Ella and Kandy. Plus it’s the way to visit Horton Plains. So when you leave Kandy, head to the Nanu Oya train station, 8km from the city and then take a bus for 30 rupees or a tuk-tuk for 450 rupees to Nuwara Eliya. Choose the most economical way to do this course. If you are leaving Nuwara Eliya and want to wander around, make the way to Horton Plains and save time on your trip. Just rent a chauffeur with the jeep that will take you to Horton Plains and then Ella. On the other hand, if you just want to visit Nuwara Eliya and then go to Kandy or any other direction, just take a bus at Nuwara Eliya station and the trip will last a maximum of 2h 30 minutes. Near Kandy train station, there is a bus station in which they often depart to other destinations. If temperatures are higher than expected, consider renting an air-conditioned minivan (located to the right of the bus terminal). Any questions, ask the drivers’ helpers to guide you about the air-conditioned minivans. The route lasts about 4 hours without considering the descents and ascents of the bus. Once you get to Dambulla, call the tuk-tuk and ask the driver to drop you off at the temple of the city (be more time consuming). The restaurants of Nuwara Eliya will remind you that you are in Sri Lanka and not on the European continent. It is here that the Sinhalese flavor gains strength and this is reflected in the palates of travelers. See the best restaurant suggestions for the best Sri Lankan food in a European town in the heart of Sri Lanka. Milano Restaurant is one of the best places to dine. The menu includes chicken, steak, seafood with several accompaniments available. If you prefer spicy food, try Devilled chicken, biff or seafood, served with fried rice and noodles. It’s delicious! If you stay at the Grand Hotel, you will have the privilege of enjoying the local food with a lot of class. The menu includes snacks, cakes, fondues and wood-fired pizzas for both lunch and dinner. The Grand Indian Restaurant is on the same road just before the Grand Hotel and serves typical Asian foods such as roti, fresh baked goods that accompany Indian delicacies and more. They serve lunch and dinner there. Choose to stay hidden high in the mountains or in the luxurious accommodations overlooking these landscapes. The decision is yours whether you want to feel the breeze coming from the fields or if you prefer to just relax in the luxurious colonial hotels in Nuwara Eliya. 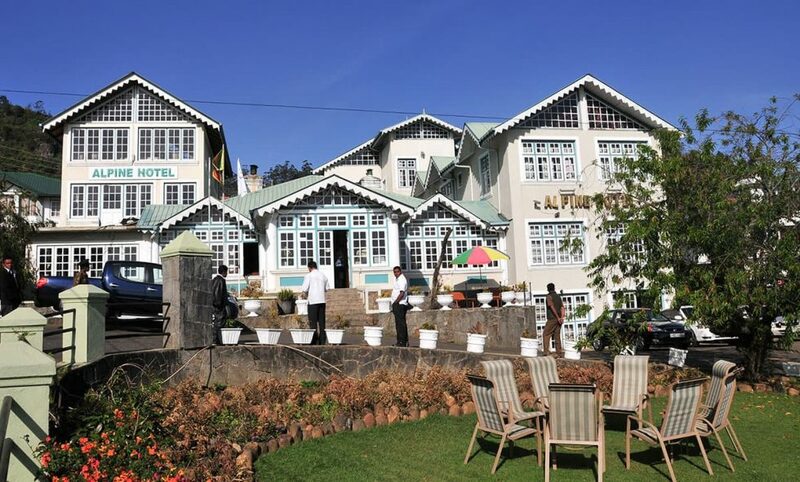 Check out these hotels suggestions to stay in Nuwara Eliya. Hotel Uyou is a great place to stay in Nuwara Eliya. It is located behind the Grand Hotel and boasts a panoramic view of the high mountains and forests. It is a well-centralized place with service delivery, quality and impressive price. The hotel accommodations are spacious with an area to relax and see the lush landscapes behind the Grand Hotel. Inside the place, breakfast is served to travelers. Of course, the Grand Hotel could not be left out with its comfortable and luxurious colonial English style accommodations. In the luxury category, for example, the rooms are lit with electric fireplaces. The place is marked by the charm, and the sophistication extends to the furniture, in the rooms. The advantage of staying here is that butlers serve guests with various types of teas courtesy of the house. The Alpine Hotel is a colonial house transformed into a hotel and is distinguished by its low price and strategic location. Also, it pays to stay and meet other travelers. 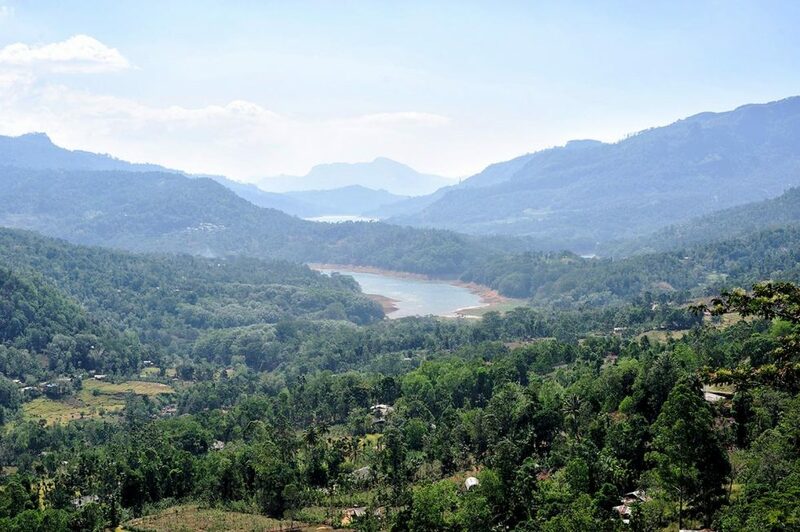 It is located near the main attractions in Nuwara Eliya such as Victoria Park, Post Office, Gregory Lake. Mount View Hotel. The Mound View Hotel enchants by the even closer location with nature and the simple and comfortable facilities. Here the simple looks luxurious near the breathtaking view coming from the mountains covered by mist. Just be careful with the main road that leads you to the hotel as it is steep and dangerous. The rooms have modest facilities and optional services like laundry, breakfast among others. 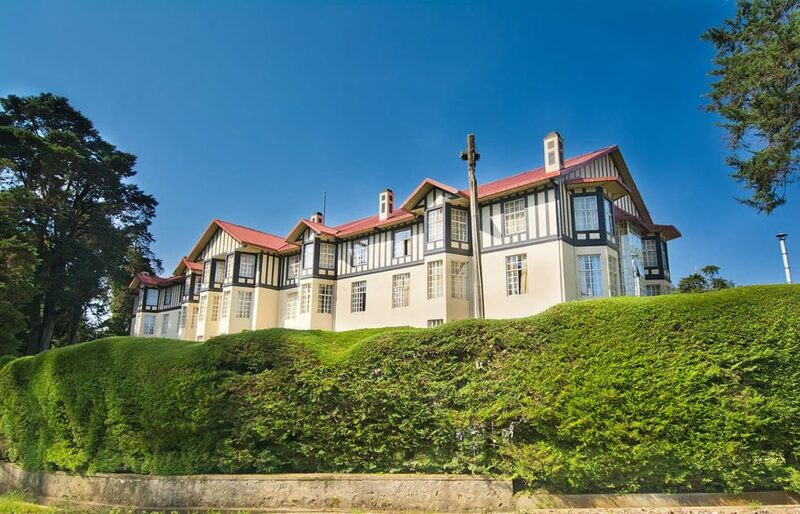 The Glendower Hotel is a reasonable place for the price and convenience it offers, especially the beautiful views of the tea fields and the modest rooms. If you have little resources, pay for the low price without luxury surprises, but without being comfortable and well located in Nuwara Eliya. As we have seen, the climate of Nuwara Eliya is cold, and the constant rains are to preserve the verdant fields of the city. Because it is located in the highlands of the country, do not expect that unbearable heat of Colombo, but the fresh breeze of Ella. Therefore, the best time to visit Nuwara Eliya is between the end of February and the beginning of June. But that will not stop them from being surprised by the sporadic rains of the region. Now avoid traveling between monsoon months: June and September, at that time the ravages are visible accompanied by wind and flood. We recommend you read our full article about the best time to visit Sri Lanka. Take advantage, get all your doubts about the monsoons and plan your trip better. Nuwara Eliya is a fantastic city with paradisiacal and distant destinations such as waterfalls, vast fields of flowers and tea plantations, not to mention the delicious desserts, meals, and drinks, is a minimum of 2 days in Nuwara Eliya. Nuwara Eliya is a city to visit whenever you step on the lands of the enchanted island. Whether through the air, the fields, the incredible and mysterious waterfalls or the history of a city that has the European characteristics. However, Nuwara Eliya has not lost the Sinhalese touch of being, noticeable in the palates, in the accommodations and in the strength of the villagers who derive the resources to survive. Take advantage of the fact that you are in Nuwara Eliya and embark to the high point of the hills following the same weather, but with other incredible experiences, Horton Plains – Sri Lanka: A Trip to the End of the World. Os destinos, os lugares, o ar frio e fresco e os edifícios coloniais contrastam e revelam uma cidade europeia no coração doSri Lanka. O que você lerá a seguir vai encher os teus olhos e certamente o seu espírito aventureiro o dominará. Escolha passear pelo lago principal ou se aventurar nas grandiosas cachoeiras. Visite a fábrica e saboreie os deliciosos chás da casa. 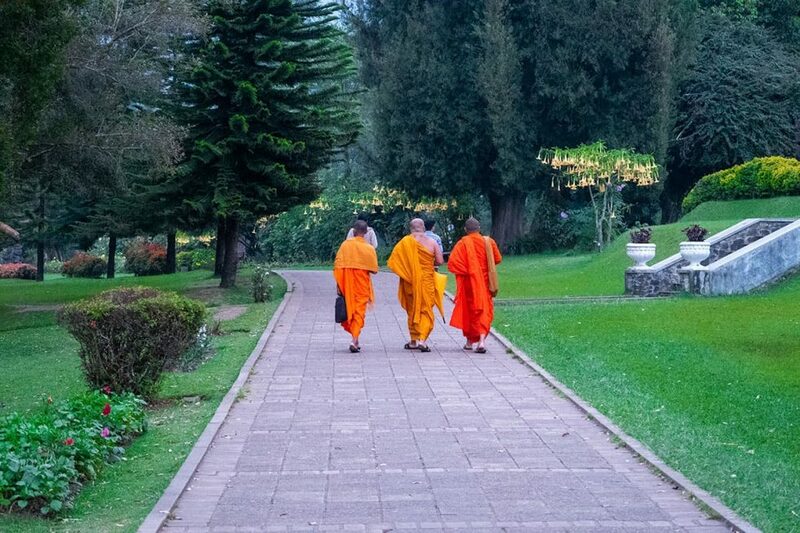 Se ainda assim achar pouco, visite os museus, o templo de Sita, o jardim botânico, aprecie o charme e o casamento perfeito entre o estilo europeu e o jeito cingalês de viver. Venha para mais uma aventura em Nuwara Eliya. Esta cidade o espera com as atividades, as experiências e as sensações mais incríveis. Como se deslocar em Nuwara Eliya? Nuwara Eliya é uma cidade montanhosa localizada nos pontos mais altos do Sri Lanka. Ela possui 1 868 m de altitude. Além disso, é considerada como o local principal para sustentar a maior produção de chá do país. Embora foi e ainda é o centro de fuga preferido pelos ingleses, Nuwara Eliya possui cerca de 27 mil habitantes cingaleses. Em cada uma das atrações você perceberá isso nos mínimos detalhes e principalmente nas construções antigas. Além disso, ela também é conhecida como a cidade da luz ou cidade na planície, por abrigar vários pontos montanhosos e ficar entre a imprevisível viagem de Kandy para Ella. Nuwara Eliya é fria e as suas atividades giram em torno da natureza, as plantações e tudo o que ela tem de melhor para degustar e aquecer os paladares: os chás exóticos. As atrações de Nuwara Eliya são ideais para os apaixonados pela natureza, como caminhar entre as flores das plantações de chás, mas não é somente isso. 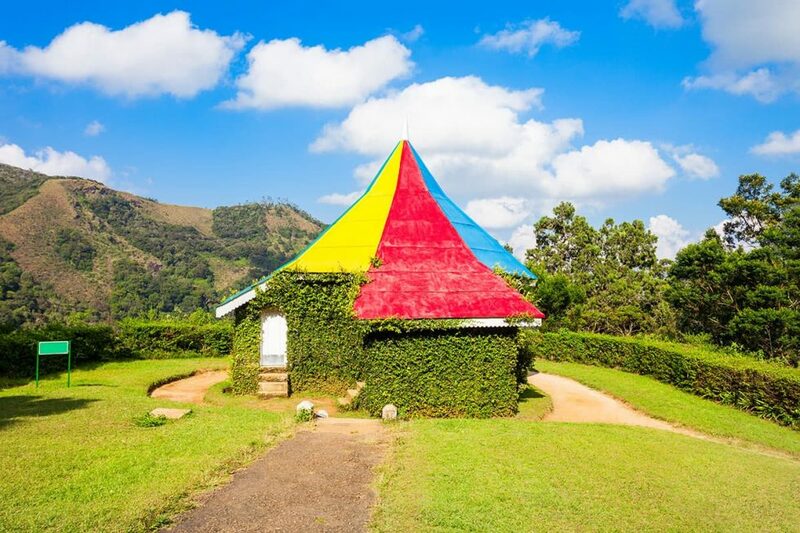 Existem outros locais para conhecer em Nuwara Eliya como: o museu, o templo, as incríveis cachoeiras, relaxar na lagoa entre outras. Confira! A Pedro Tea Factory é a fábrica de chá mais conhecida sendo uma das maiores em Nuwara Eliya. Ela fica localizada a 4 km do centro da cidade. Para visitar o local, basta pagar 250 rúpias e na companhia de um guia, conhecer o processo de fabricação e, ao final, provar um chá delicioso. Só toma cuidado: fotografar ou filmar são expressamente proibidos no interior da fábrica. No entanto, contratar um guia para acompanhá-lo, não é lá aquelas coisas. Mesmo sem ver os maquinários, você perceberá um ambiente ruidoso e ficará difícil entender as explicações do guia. Vale a pena sobretudo pelo chá e a visita aos campos onde você andará entre as flores. Se você foi nas fábricas de Kandy, então já sabe o que esperar em Nuwara Eliya, a diferença é que os campos são ainda maiores. Existem outras fábricas de chás menos conhecidas em Nuwara Eliya, sem qualquer custo, compensa ir para provar os chás. Agora, uma coisa é certa, em todas elas você vai provar um chá delicioso. O Mlesna Tea Castle Sr Claire é a maior loja de chás do mundo. O lugar fica próximo a estrada A7 no mesmo caminho que vai para Nuwara Eliya. O edifício é um verdadeiro castelo, uma relíquia entre as montanhas. Ao olhar você vê uma visão infinita em que as flores dos campos encaixam perfeitamente umas às outras. Fique à vontade para saborear, sentir todas as sensações e conhecer a especialidade do local: os chás aromáticos. A subida ao topo da montanha de Pidurutalagala (2524 meters) Pidurutalagala é também conhecida como “Mount Pedro” sendo a montanha mais alta do Sri Lanka. Para você ter experiências incríveis e se perder nelas por algum tempo, é somente indo de carro, carrinha ou jipe. Assim que você passar pelo checkpoint eles pedirão os seus documentos (passaporte) para liberar a tua entrada. Depois disso, mais 6 km até alcançar o pico e logo verá vários radares e antenas de telecomunicações. Os guardas lá em cima poderão acompanhá-lo e explicar como funciona, mas não é interessante. O melhor mesmo é se deslumbrar com a paisagem do lugar afinal, é a montanha mais alta do Sri Lanka. O passeio de barco em Gregory Lake é uma das atividades que você deve escolher fazer em Nuwara Eliya. O lago fica localizado no centro e visível de qualquer lugar da cidade. O bom do passeio que você pode fazer de barco ou se for algo mais romântico, alugar um cisne e passear pelas redondezas: escolha admirar a vegetação, andar de jet ski e ainda passear e sentir o ar frio que vem das montanhas envolver o seu rosto. A cascata de aberdeen é uma cachoeira de 98m de altura simplesmente encantadora. Ela fica próxima a Ginigathena na cidade de Nuwara Eliya e tem esse nome em homenagem a maior cidade da Escócia. As águas dessa catarata escorrem pelas pedras íngremes e desaguam em uma reserva com águas cristalinas levemente azuladas. A Lover’s Leap Waterfall é uma cascata deslumbrante em que as tórridas águas caem sobre as pedras e dão a sensação de total liberdade. Para chegar a essa cascata, siga rumo à fábrica de chá e chegará a uma estrada de terra. Vai seguindo a sinalização e chegará ao santuário Shiva. Você continua o percurso que avistará as enxurradas de águas. Segundo a lenda local, diz que um determinado princípe da cidade e uma moça se apaixonaram, mas foram impedidos de viverem esse amor. Então, eles decidiram se jogar no penhasco dessa deslumbrante cascata. Sendo verdade ou não, o fato é que vale a pena você visitar esse lugar em Nuwara Eliya. A poucos minutos você terá mais uma cachoeira de tirar o fôlego: Devon Falls. 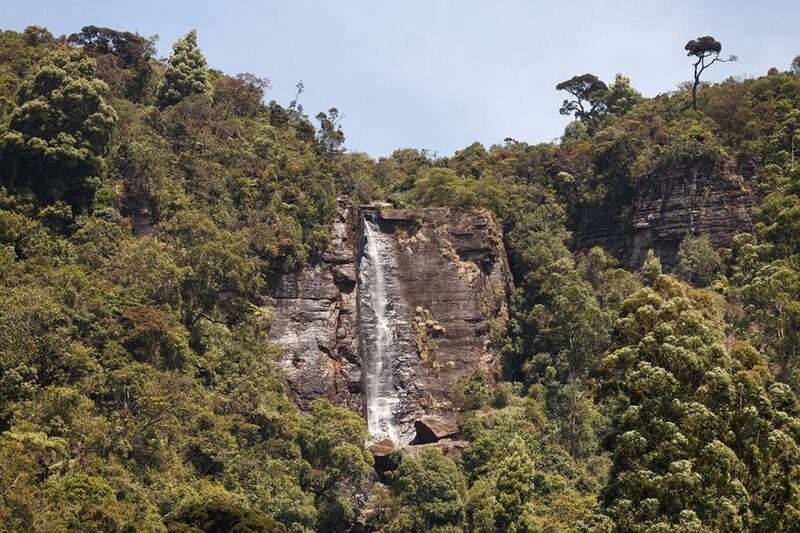 A cachoeira de 97 m de altura fica localizada a 6 km oeste de Talawakele na rodovia A7 de Nuwara Eliya. Essa cascata é um pouco mais longe do que as outras, mas o contraste com as plantações de chás, torna-a única e incrível! A Bomburu Ella Waterfall é a cachoeira mais larga do país. Se você se impressionou com Hortons Plains e as cachoeiras magníficas do parque, ficará ainda mais maravilhado com as surpresas da cachoeira de Bomburu Ella. Que não seja por menos, essa cachoeira principal é composta pelas outras menores e ouvir as águas caindo nas pedras é realmente uma experiência de perder a voz que você precisa viver em Nuwara Eliya. O ST. Clair’s Fall é uma cachoeira que parece um riacho semelhante as cascatas do Niagara americanas/canadianas nas colinas centrais. Chamada de Little Niagara, ela fica localizada perto da loja de chá Mlesna Tea Castle e possui uma vista espetacular. Uma dica é você é apreciar o lugar e admirar a paisagem comendo algo que você pode levar ou comprar no pequeno restaurante do local. Beber chá no Grand Hotel é uma experiência que você precisa viver. O lugar é o ponto de encontro para saborear a especialidade da casa. Exatamente entre as 15h às 18h passe para degustar alguns snacks e um delicioso chá por apenas 550 rúpias. Caso você tenha sorte, poderá encontrar algum profissional para guiá-lo pelo hotel. Você perceberá que o lugar ainda possui uma arquitetura colonial britânica sem muitas alterações, ainda mais evidente quando caminha e ouve o som do piso e outros ruídos. Conhecer as casas coloniais e passear pelas ruas são atividades que você vai se sentir como se realmente estivesse na Europa, mas não, você ainda está no Sri Lanka. Mesmo após a era colonial, comprove você também o porquê de Nuwara Eliya ser a principal fuga dos britânicos. Os edifícios não são nada modernos, cada detalhe é milimetricamente inglês, mas nem por isso eles deixam de ser charmosos. Ao fundo a montanha de Pidurutalagala, na frente, aquelas casas coloniais enormes e para decorar, os singelos jardins que juntos dão o toque especial às ruas de Nuwara Eliya. O posto dos correios de Nuwara Eliya é um lugar charmoso que vale a pena você visitar enquanto estiver na cidade. Ele é um dos primeiros correios do país e fica próximo a estação de ônibus. Passe para enviar uma carta, entre no lugar e contemple a beleza do edifício. Se você é fã de golfe, não poderá deixar de visitar um dos poucos campos de golfe do Sri Lanka. Ele fica situado no coração de Nuwara Eliya, a caminho do Grand Hotel. Além disso, o preço é totalmente diferente do que você está acostumado a ver em outros lugares. 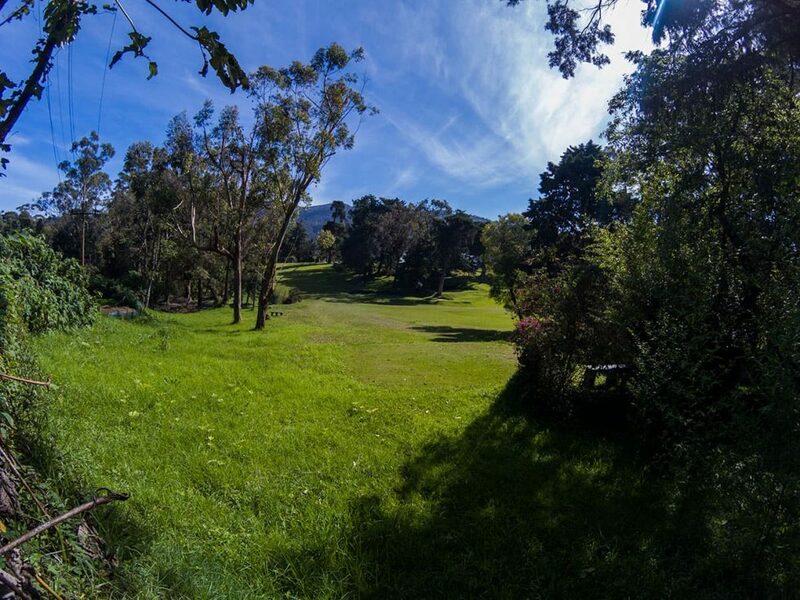 Em Nuwara Eliya, você paga cerca de 8400 rúpias incluindo equipamentos e a permissão para jogar em um dos campos mais antigos da Ásia. Você verá um campo com 14 buracos, árvores pelas redondezas e próximo ao pequeno campo de cultivo. Veja por fora ou fale com os seguranças para deixá-lo entrar. É importante você saber que o acesso ao campo de golfe é restrito e permitido somente a sócios ou quem puder pagar. Na verdade, em relação aos outros campos de golfes, nem chega a ser caro. OVictoria Park é um refúgio no centro de Nuwara Eliya. Ele é um lugar para você passear, sentir a brisa fria da cidade enquanto pedala de bicicleta e relaxar ao som das aves do parque. Além disso, o parque também abriga o Museu Victoria Park em que conta a história de como era a vida na cidade sobre o domínio britânico. Ele mostra os detalhes da antiga ferrovia. O passeio fica em torno de 300 rúpias, sendo mais uma opção para você visitar em Nuwara Eliya. O Amman Temple é um tempo de Sita da religião do hinduísmo um dos poucos lugares religiosos que verá em Nuwara Eliya. 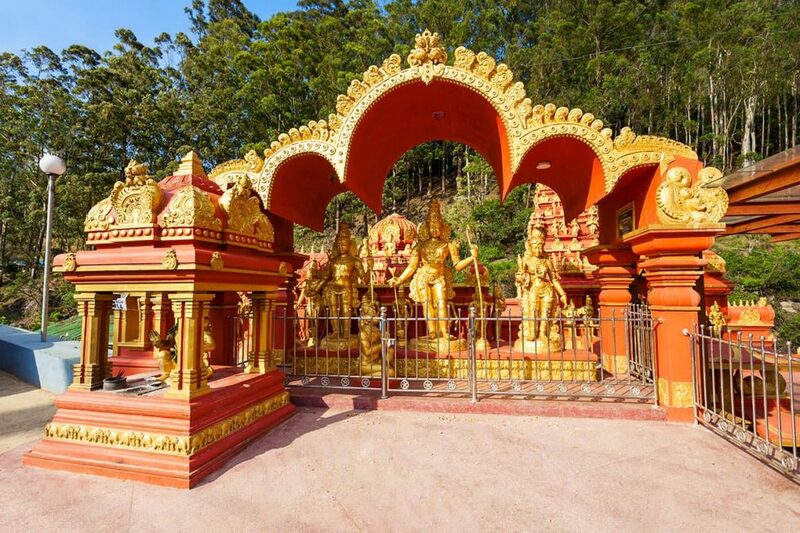 O templo fica localizado na saída de Nuwara Eliya rumo a Ella. E por falar nisso, mais abaixo explicamos tudinho para fazer esse roteiro e economizar na sua viagem ao Sri Lanka. Continue lendo. Voltando ao templo, o lugar é cercado por estátuas dos deuses locais. Segundo a religião, o lugar é dedicado a Hanuman, o deus-macaco que resgatou Sita de Lanka. O Hakgala Botanical Gardens é o jardim botânico preservado e repleto de espécies de animais exóticos. Ele fica localizado a somente 1 km do tempo Seetha Amman sendo mais uma atração para você conhecer em sua ida a Nuwara Eliya. Nesse jardim você aprecia o desenho, as cores e a alegria de 10.000 espécies de flores raríssimas e perfumadas. É um lugar apaixonante que vale a pena você conhecer. O Moons Plains ou planícies lunares é aquele lugar com uma vasta área de campos, plantações, trilhas e montanhas sinuosas para você passear e tirar belas fotos. O mercado de inverno é para suprir as necessidades do local. Já deu para sentir que Nuwara Eliya é um lugar bem frio, né? E para isso, nada melhor do que passar no Mercado de Inverno para comprar o agasalho antes de ir para as montanhas. Com o clima frio durante o ano, o cenário perfeito para os morangos sobreviverem e você saboreá-los de todos os jeitos. Você precisa visitar a fazenda Adma Agro e ver um cardápio a base de morangos. O lugar é conhecido por servir morangos nos campos, nas bebidas e com aquele leite condensado irresistível! alugar uma bicicleta: como alguns lugares são planos e próximos entre si, conseguir uma bicicleta pode ser uma economia em tanta em sua viagem. Por outro lado, andar de bicicleta pode ser cansativo. No geral, pelo conforto alugue um carro com o motorista e pela economia alugue um tuk tuk para o levar em todos os lugares em Nuwara Eliya. Em todos os casos, confira o artigo sobre transporte no Sri Lanka que preparamos sugerimos as principais estratégias de negociação para você economizar em sua viagem pelo país. Como dito, Nuwara Eliya fica entre duas cidades: Ella e Kandy. Além disso é o caminho para visitar Horton Plains. Por causa disso, ao sair de Kandy, dirija-se a estação de trem de Nanu Oya, a 8km da cidade e depois pegue um ônibus por 30 rúpias ou um tuk tuk por 450 rúpias para a Nuwara Eliya. Prefira o meio mais econômico de fazer esse percurso. Já se você estiver saindo de Nuwara Eliya e quiser passear pela redondeza, faz o percurso para Horton Plains e ganhe tempo em sua viagem. Basta alugar um motorista com o jipe que ele te levará a Horton Plains e depois a Ella. 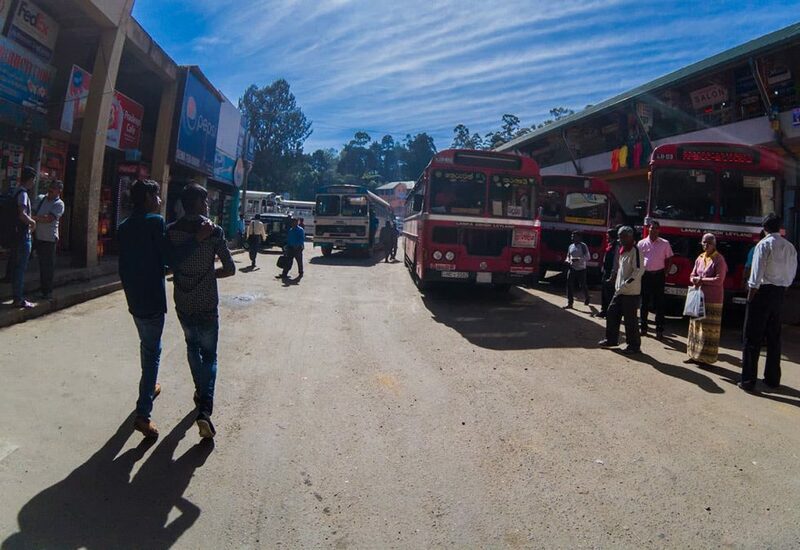 Por outro lado, se você quiser somente visitar Nuwara Eliya e seguir para Kandy ou qualquer outra direção, basta pegar um ônibus na estação de Nuwara Eliya e a viagem vai durar o máximo 2h 30 minutos. Próximo à estação de trem de Kandy, tem uma estação de ônibus em que eles saem frequentemente para outros destinos. Caso as temperaturas estejam acima do esperado, considere alugar uma minivan com ar condicionado (ficam à direita do terminal de ônibus). Qualquer dúvida, pergunte aos ajudantes dos motoristas para o orientar sobre as minivans com ar condicionado. O percurso dura cerca de 4 horas sem considerar as descidas e subidas dos ônibus. Assim que chegar a Dambulla, chame o tuk tuk e peça ao condutor para deixá-lo no templo da cidade (ser mais demorado). Os restaurantes de Nuwara Eliya o lembrará que você está no Sri Lanka e não no continente europeu. É aqui que o sabor cingalês ganha força e isso é refletido nos paladares dos viajantes. Veja as melhores sugestões de restaurantes para você apreciar o melhor da comida cingalesa em uma cidadezinha europeia no coração do Sri Lanka. O Restaurante Milano é um dos melhores sítios para você jantar. O cardápio inclui: frango, bife, marisco com vários acompanhamentos disponíveis. Caso prefira comida apimentada, experimente o Devilled chicken, biff or seafood, servido com arroz frito e macarrão. É uma delícia! Se você ficar hospedado no Grand Hotel terá o privilégio de saborear a comida local com muita classe. O cardápio inclui lanches, bolos, fondues e pizzas assadas em fogão a lenha tanto no almoço quanto no jantar. O Grand Indian Restaurant fica na mesma estrada um pouco antes do Grand Hotel e serve comidas típicas asiáticas como o roti, assados frescos que acompanham as iguarias indianas e muito mais. Ele serve almoço e jantar. Escolha ficar escondido no alto das montanhas ou nas acomodações luxuosas com vista para essas paisagens. A decisão é sua se deseja sentir a brisa vindo dos campos ou se prefere simplesmente relaxar nos luxuosos hotéis coloniais em Nuwara Eliya. 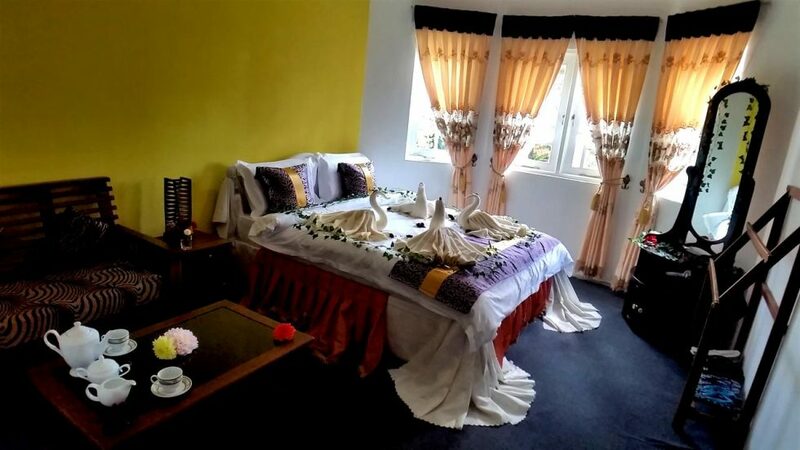 Confira esta sugestão de hotéis para você ficar em Nuwara Eliya. 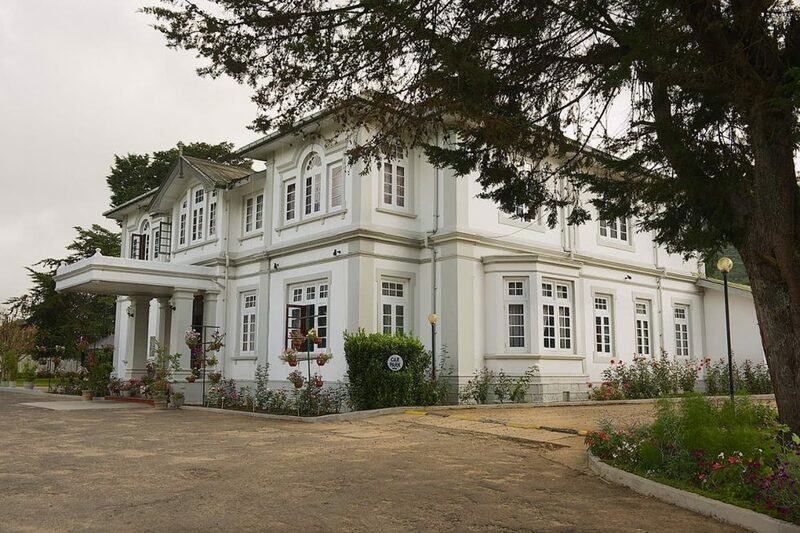 O Hotel Uyou é um excelente lugar para você ficar em Nuwara Eliya. Ele fica localizado atrás do Grand Hotel e possui uma vista panorâmica para as grandes montanhas e florestas. É um lugar bem centralizado com uma entrega de serviço, qualidade e preço impressionante. As acomodações do hotel são espaçosas com área para relaxar e ver as exuberantes paisagens atrás do Grand Hotel. No interior do lugar é servido um pequeno almoço aos viajantes. É claro que o Grand Hotel não poderia ficar de fora nos quesitos acomodações confortáveis e luxuosas no estilo inglês colonial. Na categoria luxo, por exemplo, os quartos são iluminados com lareiras elétricas. O lugar é marcado pelo charme e a sofisticação se estende aos móveis, nos aposentos. A vantagem de se hospedar aqui é que os mordomos servem os hóspedes com vários tipos de chás por cortesia da casa. O Alpine Hotel é uma casa colonial transformada em hotel e se diferencia pelo baixo preço e a localização estratégica. Além disso, compensa para você se hospedar e conhecer outros viajantes. Ele fica localizado próximo as principais atrações em Nuwara Eliya como: Victoria Park, Correios, Gregory Lake. Mount View Hotel. O Mound View Hotel encanta pela localização ainda mais próxima com a natureza e as instalações simples e confortáveis. Aqui, o simples fica luxuoso perto da vista deslumbrante vindo das montanhas cobertas pelas neblinas. Só tome cuidado com a estrada principal que o leva ao hotel, pois ela é íngreme e perigosa. Os quartos possuem instalações modestas e serviços opcionais como: lavanderia, café da manhã entre outras. O Glendower Hotel é um local razoável pelo preço e comodidade que oferece, sobretudo as belas vistas dos campos de chás e os quartos modestos. Se você tiver pouco recursos, compensa pelo baixo sem surpresas luxuosas, mas sem deixar de ser confortável e bem localizado em Nuwara Eliya. Como vimos, o clima de Nuwara Eliya é frio e as constantes chuvas são para preservar os campos verdinhos da cidade. Por localizar nas terras altas do país, não espere aquele calor insuportável de Colombo, mas a brisa fresca deElla. 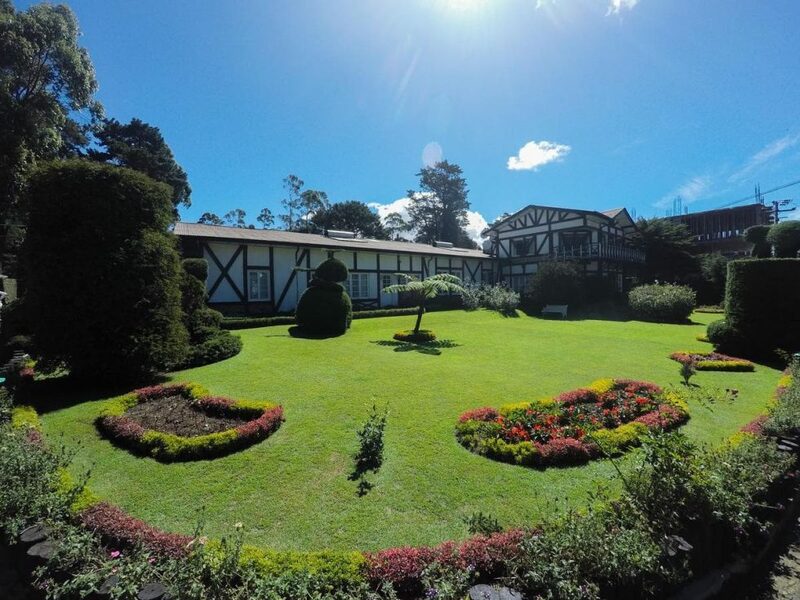 Sendo assim, a melhor época para visitar Nuwara Eliya é entre o final de fevereiro até o começo de junho. Mas, isso não vai impedir de você ser surpreendidos pelas chuvas esporádicas da região. Agora evite viajar entre os meses de monções: junho e setembro, nessa época os estragos são visíveis acompanhados de ventanias e inundações. Recomendamos que você leia o nosso artigo completo sobre quando ir ao Sri Lanka. Aproveite, tire todas as suas dúvidas sobre as monções e planeje melhor a sua viagem. Por Nuwara Eliya ser uma cidade surpreendente com destinos paradisíacos e distantes como as cachoeiras, campos imensos de flores e plantações de chás, sem falar das deliciosas sobremesas, refeições e bebidas, fique no mínimo 2 dias em Nuwara Eliya. Nuwara Eliya é uma cidade para se visitar sempre que pisar nas terras da ilha encantada. Seja pelos ares, pelos campos, pelas cachoeiras incríveis e misteriosas ou pela história de uma cidade que tem as características europeias. No entanto, Nuwara Eliya não perdeu o gingado cingalês de ser, perceptível nos paladares, nas acomodações e na força dos habitantes que do campo tiram os recursos para sobreviverem. Aproveita que está em Nuwara Eliya e embarque para o ponto alto das colinas seguindo o mesmo clima, mas com outras experiências incríveis, Horton Plains — Sri Lanka: Uma viagem ao Fim do Mundo. Os destinos, os lugares, o ar frio e fresco e os edifícios coloniais contrastam e revelam uma cidade europeia no coração do Sri Lanka. O que lerás a seguir vai encher os teus olhos e certamente o seu espírito aventureiro o dominará. Escolha passear pelo lago principal ou se aventurar nas grandiosas cascatas. Visita a fábrica e saboreie os deliciosos chás da casa. 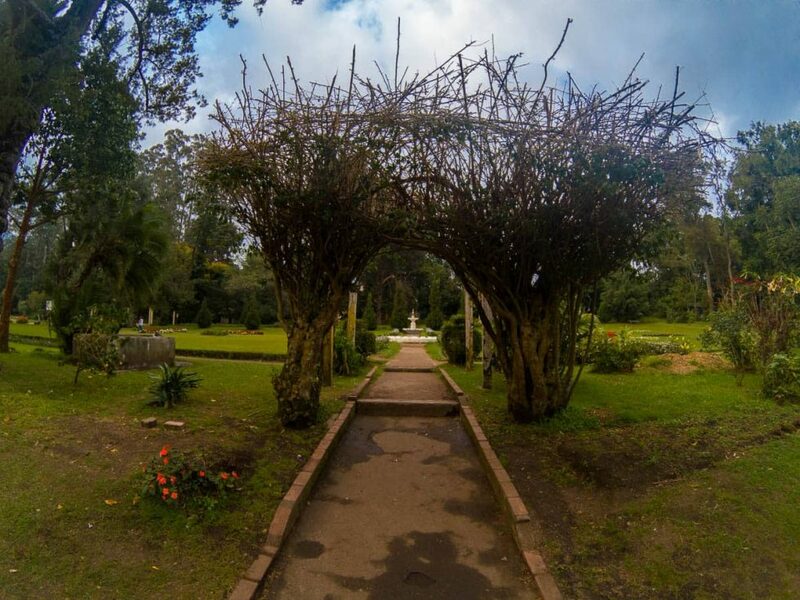 Se ainda assim achares pouco, visita os museus, o templo de Sita, o jardim botânico, aprecia o charme e o casamento perfeito entre o estilo europeu e o jeito cingalês de viver. Venha para mais uma aventura em Nuwara Eliya. Esta cidade o espera com as actividades, as experiências e as sensações mais incríveis. Em cada uma das atrações perceberás isso nos mínimos detalhes e principalmente nas construções antigas. Nuwara Eliya é fria e as suas actividades giram em torno da natureza, as plantações e tudo o que ela tem de melhor para degustar e aquecer os paladares: os chás exóticos. As atrações de Nuwara Eliya são ideais para os apaixonados pela natureza, como caminhar entre as flores das plantações de chás, mas não é somente isso. Existem outros locais para conhecer em Nuwara Eliya como: o museu, o templo, as incríveis cascatas, relaxar na lagoa entre outras. Para visitar o local, basta pagar 250 rúpias e na companhia de um guia, conhecer o processo de fabricação e, ao final, provar um chá delicioso. Mas toma cuidado: fotografar ou filmar são expressamente proibidos no interior da fábrica. No entanto, contratar um guia para acompanhá-lo, não é lá aquelas coisas. Mesmo sem ver as máquinas a funcionar, perceberás um ambiente ruidoso e ficará difícil entender as explicações do guia. Vale a pena sobretudo pelo chá e a visita aos campos onde andarás entre as flores. Se foste às fábricas de Kandy, então já sabes o que esperar em Nuwara Eliya, a diferença é que os campos são ainda maiores. O edifício é um verdadeiro castelo, uma relíquia entre as montanhas. Ao olhar verás uma visão infinita em que as flores dos campos encaixam perfeitamente umas nas outras. Fica à vontade para saborear, sentir todas as sensações e conhecer a especialidade do local: os chás aromáticos. A subida ao topo da montanha de Pidurutalagala (2524 metros) Pidurutalagala é também conhecida como “Mount Pedro” sendo a montanha mais alta do Sri Lanka. Para teres experiências incríveis e se perder nelas por algum tempo, é somente ir de carro, carrinha ou jipe. Assim que passares pelo checkpoint eles pedirão os seus documentos (passaporte) para liberar a tua entrada. Depois disso, mais 6 km até alcançar o pico e logo verás vários radares e antenas de telecomunicações. O passeio de barco em Gregory Lake é uma das actividades que deves escolher fazer em Nuwara Eliya. O lago fica localizado no centro e visível de qualquer lugar da cidade. O bom do passeio que podes fazer de barco ou se for algo mais romântico, alugar um cisne e passear pelas redondezas: escolha admirar a vegetação, andar de jet ski e ainda passear e sentir o ar frio que vem das montanhas envolver o seu rosto. A cascata de aberdeen é uma cascata de 98m de altura simplesmente encantadora. Para chegar a essa cascata, segue rumo à fábrica de chá e chegarás a uma estrada de terra. Vai seguindo a sinalização e chegarás ao santuário Shiva. Continua o percurso que avistarás as enxurradas de águas. Então, eles decidiram atirar-se no penhasco dessa deslumbrante cascata. Sendo verdade ou não, o facto é que vale a pena visitar esse lugar em Nuwara Eliya. A poucos minutos terás mais uma cascata de tirar o fôlego: Devon Falls. 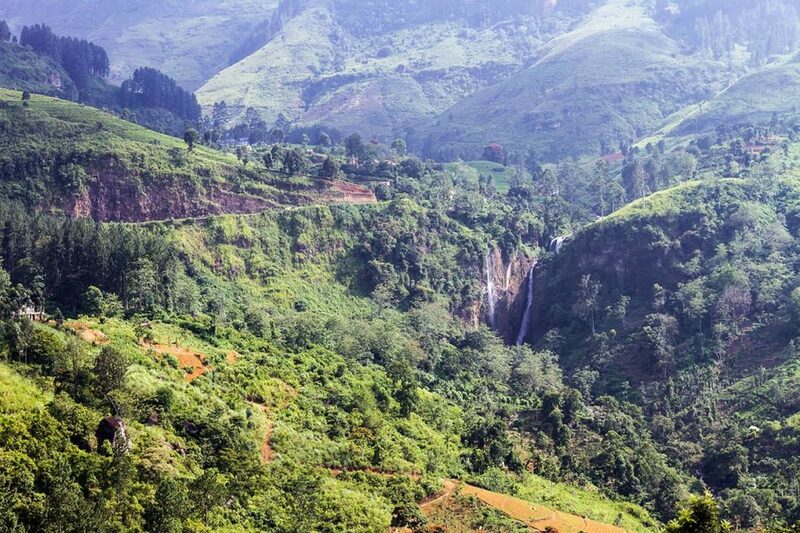 A cascata de 97 m de altura fica localizada a 6 km oeste de Talawakele na rodovia A7 de Nuwara Eliya. A Bomburu Ella Waterfall é a cascata mais larga do país. Se te impressionaste com Hortons Plains e as cascatas magníficas do parque, ficarás ainda mais maravilhado com as surpresas da cascata de Bomburu Ella. Que não seja por menos, essa cascata principal é composta pelas outras menores e ouvir as águas caindo nas pedras é realmente uma experiência de perder a voz que precisas viver em Nuwara Eliya. O ST. Clair’s Fall é uma cascata que parece um riacho semelhante as cascatas do Niagara americanas/canadianas nas colinas centrais. Chamada de Little Niagara, fica localizada perto da loja de chá Mlesna Tea Castle e possui uma vista espetacular. Uma dica é é apreciar o lugar e admirar a paisagem comendo algo que podes levar ou comprar no pequeno restaurante do local. Beber chá no Grand Hotel é uma experiência que precisas de viver. O lugar é o ponto de encontro para saborear a especialidade da casa. Exactamente entre as 15h às 18h passa para degustar alguns snacks e um delicioso chá por apenas 550 rúpias. Caso tenhas sorte, poderás encontrar algum profissional para guiá-lo pelo hotel. 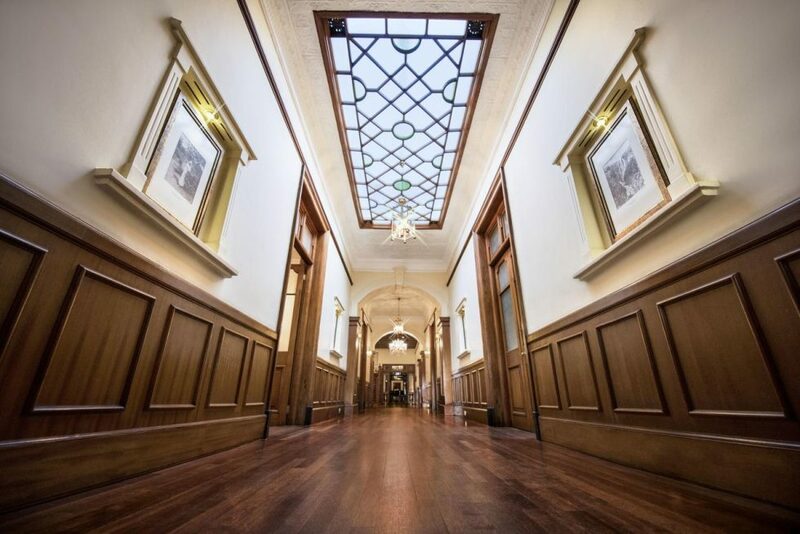 Perceberás que o lugar ainda possui uma arquitetura colonial britânica sem muitas alterações, ainda mais evidente quando caminha e ouve o som do piso e outros ruídos. Conhecer as casas coloniais e passear pelas ruas são actividades que vais sentir-te como se realmente estivesses na Europa, mas não, ainda está no Sri Lanka. Mesmo após a era colonial, comprova também o porquê de Nuwara Eliya ser a principal fuga dos britânicos. Os edifícios não são nada modernos, cada detalhe é milimetricamente inglês, mas nem por isso eles deixam de ser charmosos. O posto dos correios de Nuwara Eliya é um lugar charmoso que vale a pena visitar enquanto estiveres na cidade. Ele é um dos primeiros correios do país e fica próximo a estação de autocarro. Passa para enviar uma carta, entra no lugar e contempla a beleza do edifício. Se és fã de golfe, não poderás deixar de visitar um dos poucos campos de golfe do Sri Lanka. Ele fica situado no coração de Nuwara Eliya, a caminho do Grand Hotel. Além disso, o preço é totalmente diferente do que estás acostumado a ver em outros lugares. Em Nuwara Eliya, pagas cerca de 8400 rúpias incluindo equipamentos e a permissão para jogar num dos campos mais antigos da Ásia. Verás um campo com 14 buracos, árvores pelas redondezas e próximo ao pequeno campo de cultivo. Vê por fora ou fala com os seguranças para deixá-lo entrar. É importante saber que o acesso ao campo de golfe é restrito e permitido somente a sócios ou quem puder pagar. Na verdade, em relação aos outros campos de golfes, nem chega a ser caro. O Victoria Park é um refúgio no centro de Nuwara Eliya. É um lugar para passear, sentir a brisa fria da cidade enquanto pedalas de bicicleta e relaxar ao som das aves do parque. O templo fica localizado na saída de Nuwara Eliya rumo a Ella. E por falar nisso, mais abaixo explicamos tudinho para fazer esse roteiro e economizar na sua viagem ao Sri Lanka. Ele fica localizado a somente 1 km do tempo Seetha Amman sendo mais uma atração para conhecer na tua passagem por Nuwara Eliya. Nesse jardim aprecia o desenho, as cores e a alegria de 10.000 espécies de flores raríssimas e perfumadas. É um lugar apaixonante que vale a pena conhecer. O mercado de inverno é para suprir as necessidades do local. Já deu para sentir que Nuwara Eliya é um lugar bem frio, não é? E para isso, nada melhor do que passar no Mercado de Inverno para comprar o agasalho antes de ir para as montanhas. Com o clima frio durante o ano, o cenário perfeito para os morangos sobreviverem e saboreá-los de todos os jeitos. Precisas de visitar a fazenda Adma Agro e ver um cardápio com a base de morangos. O lugar é conhecido por servir morangos nos campos, nas bebidas e com aquele leite condensado irresistível! No geral, pelo conforto aluga um carro com o motorista e pela economia alugue um tuk tuk para te levar em todos os lugares em Nuwara Eliya. Em todos os casos, confira o artigo sobre transporte no Sri Lanka que preparamos sugerimos as principais estratégias de negociação para economizares na tua viagem pelo país. Por isso, ao sair de Kandy, dirige-te à estação de comboio de Nanu Oya, a 8km da cidade e depois apanha um autocarro por 30 rúpias ou um tuk tuk por 450 rúpias para a Nuwara Eliya. Prefira o meio mais económico de fazer esse percurso. Já se estiveres a sair de Nuwara Eliya e quiseres passear pela redondeza, faz o percurso para Horton Plains e ganha tempo na sua viagem. Basta alugar um motorista com o jipe que ele te levará a Horton Plains e depois a Ella. 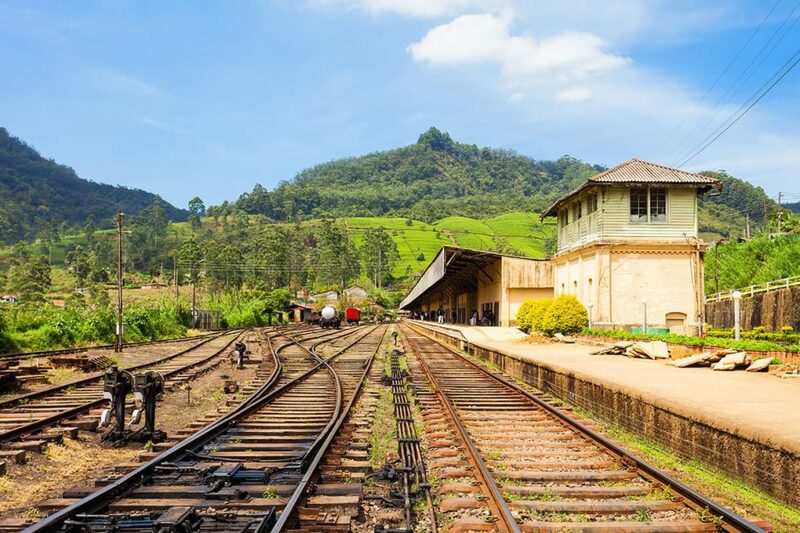 Por outro lado, se quiseres somente visitar Nuwara Eliya e seguir para Kandy ou qualquer outra direção, basta apanhar um autocarro na estação de Nuwara Eliya e a viagem vai durar o máximo 2h 30 minutos. Próximo à estação de comboio de Kandy, tem uma estação de autocarro em que eles saem frequentemente para outros destinos. Caso as temperaturas estejam acima do esperado, considere alugar uma minivan com ar condicionado (ficam à direita do terminal de autocarro). Qualquer dúvida, pergunta aos ajudantes dos motoristas para o orientar sobre as minivans com ar condicionado. O percurso dura cerca de 4 horas sem considerar as descidas e subidas dos autocarro. Assim que chegar a Dambulla, chama o tuk tuk e pede ao condutor para te deixar no templo da cidade (ser mais demorado). Os restaurantes de Nuwara Eliya vai-te lembrar que estás no Sri Lanka e não no continente europeu. É aqui que o sabor cingalês ganha força e isso é refletido nos paladares dos viajantes. Veja as melhores sugestões de restaurantes para apreciares o melhor da comida cingalesa numa cidadezinha europeia no coração do Sri Lanka. O Restaurante Milano é um dos melhores sítios para jantar. O cardápio inclui: frango, bife, marisco com vários acompanhamentos disponíveis. Se ficares hospedado no Grand Hotel terás o privilégio de saborear a comida local com muita classe. O cardápio inclui lanches, bolos, fondues e pizzas assadas em fogão a lenha tanto no almoço quanto no jantar. O Grand Indian Restaurant fica na mesma estrada um pouco antes do Grand Hotel e serve comidas típicas asiáticas como o roti, assados frescos que acompanham as iguarias indianas e muito mais. Lá servem almoço e jantar. Escolha ficar escondido no alto das montanhas ou nas acomodações luxuosas com vista para essas paisagens. A decisão é tua se desejares sentir a brisa vindo dos campos ou se preferes simplesmente relaxar nos luxuosos hotéis coloniais em Nuwara Eliya. 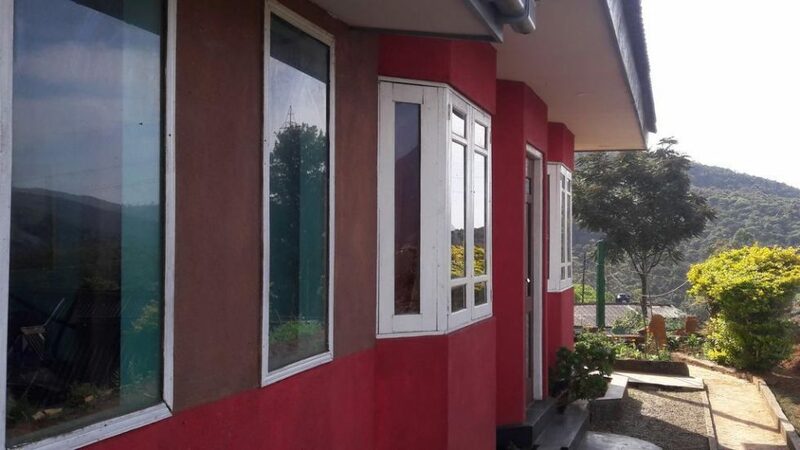 Confere esta sugestão de hotéis para ficar em Nuwara Eliya. O Hotel Uyou é um excelente lugar para ficares em Nuwara Eliya. Ele fica localizado atrás do Grand Hotel e possui uma vista panorâmica para as grandes montanhas e florestas. O Alpine Hotel é uma casa colonial transformada em hotel e se diferencia pelo baixo preço e a localização estratégica. Além disso, compensa para te hospedares e conhecer outros viajantes. Aqui, o simples fica luxuoso perto da vista deslumbrante vindo das montanhas cobertas pelas neblinas. Toma só cuidado com a estrada principal que o leva ao hotel, pois ela é íngreme e perigosa. Os quartos possuem instalações modestas e serviços opcionais como: lavandaria, café da manhã entre outras. Se tiveres pouco recursos, compensa pelo preço baixo sem surpresas luxuosas, mas sem deixar de ser confortável e bem localizado em Nuwara Eliya. Como vimos, o clima de Nuwara Eliya é frio e as constantes chuvas são para preservar os campos verdinhos da cidade. Por se localizar nas terras altas do país, não esperes aquele calor insuportável de Colombo, mas a brisa fresca deElla. Sendo assim, a melhor época para visitar Nuwara Eliya é entre o final de fevereiro até o começo de junho. Mas, isso não vai impedir de ser surpreendidos pelas chuvas esporádicas da região. Recomendamos que leias o nosso artigo completo sobre quando ir ao Sri Lanka. Aproveita, tire todas as suas dúvidas sobre as monções e planeia melhor a tua viagem. Por Nuwara Eliya ser uma cidade surpreendente com destinos paradisíacos e distantes como as cascatas, campos imensos de flores e plantações de chás, sem falar das deliciosas sobremesas, refeições e bebidas, fica no mínimo 2 dias em Nuwara Eliya. Nuwara Eliya é uma cidade para se visitar sempre que pisar nas terras da ilha encantada. Seja pelos ares, pelos campos, pelas cascatas incríveis e misteriosas ou pela história de uma cidade que tem as características europeias. No entanto, Nuwara Eliya não perdeu o toque cingalês de ser, perceptível nos paladares, nas acomodações e na força dos habitantes que do campo tiram os recursos para sobreviverem. Aproveita que estás em Nuwara Eliya e embarca para o ponto alto das colinas seguindo o mesmo clima, mas com outras experiências incríveis, Horton Plains — Sri Lanka: Uma viagem ao Fim do Mundo.